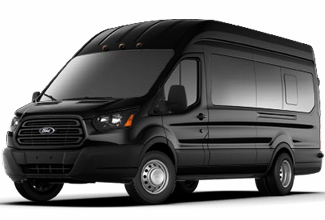 This high-roofed ford van is similar in appearance and capacity to the Mercedes sprinter vans seen in the fleets of many transportation providers in the united states and overseas, and will fulfill an important role in our fleet and in meeting our clients’ continuing chauffeured transportation needs. Comes in black or white depending what city of travel. 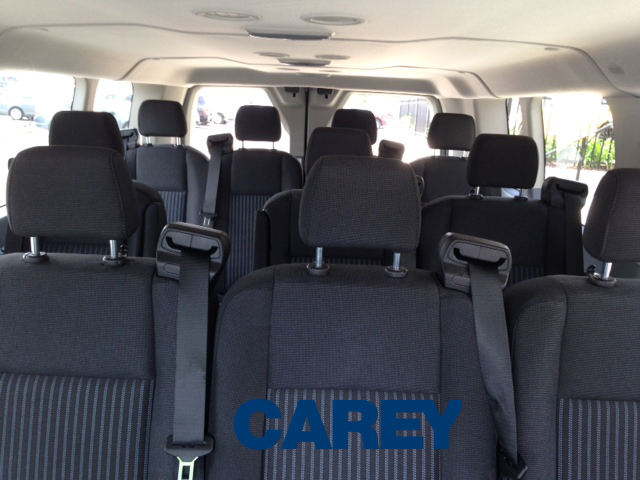 Seating and luggage capacity in this sleek and spacious executive van is worth noting and clarifying. 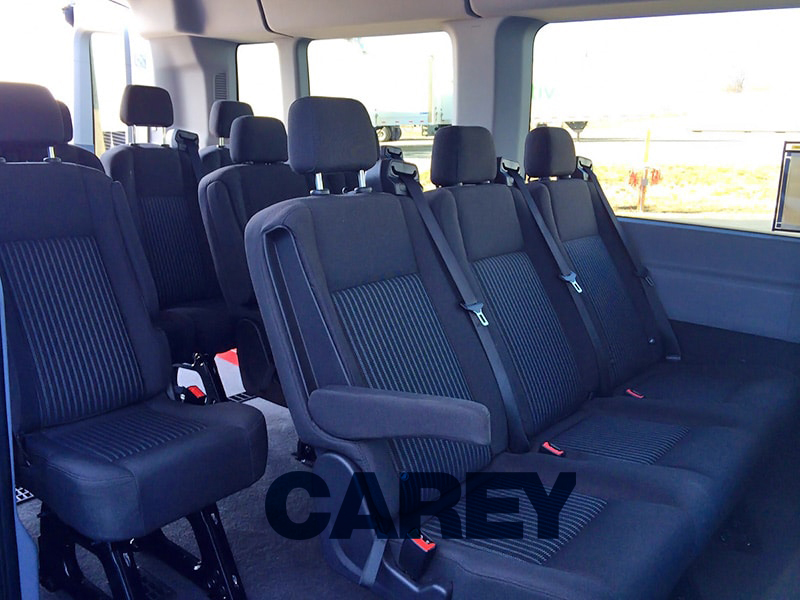 Total seating and seatbelt capacity is for 15 people (including the driver), so 14 passengers is the maximum that could be accommodated in this executive van at one time. However, due to the location of wheel wells at the base of the rear row of seats as well as the narrower width of the seats in this row, the recommended passenger capacity for this vehicle would be more accurately set at 12 people, not including the chauffeur. 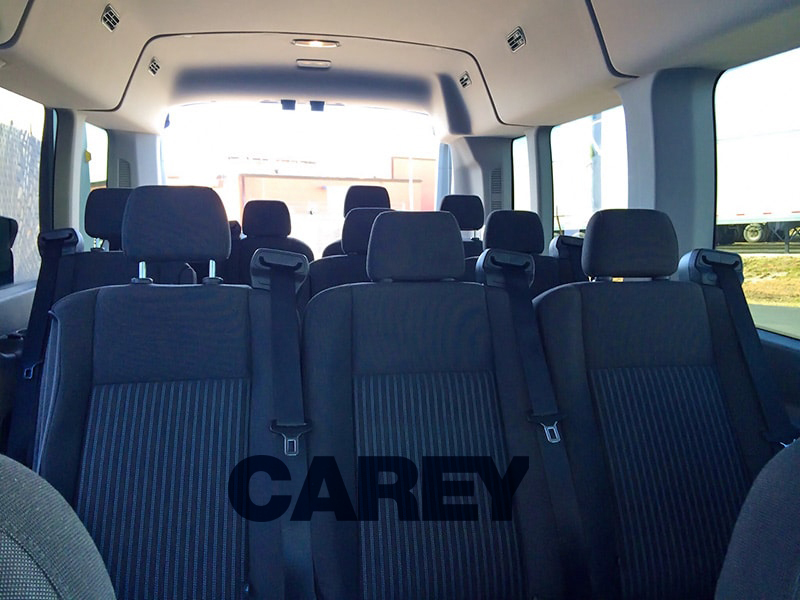 All of our vehicles are stocked with candies, chilled bottle water, tissue, tablets, and free wifi upon advance request.